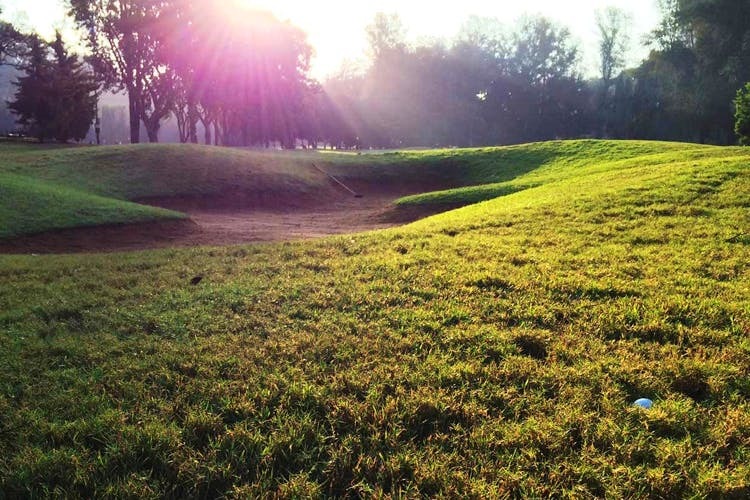 Started over 125 years ago, the Bangalore Golf Club is a fine par 70 golf course, smack in the centre of town. Now, go find yourself a member of the club, to take you in. OK, maybe the Bangalore Golf Club doesn’t allow non-members in, but if you have friends in high-ish places, you’re sorted. Around since 1876, and started by nine Englishmen, it has now grown into one of the cities prime sports clubs. Designed by Phil Ryan, a civil engineer turned golf architect, the course is an 18-hole one with water bodies, treeline and slopes making for interesting. On days you’re not teeing off, feel free to head here for a walk around the course as they do allow it until a certain time. Yup, all you non-members are welcome too. Those not looking to play the whole course, work with 9 holes and then hit the swimming pool to cool off. Needless to say, practice makes perfect. And if you’re looking to perfect your form, the floodlit driving range should be your favourite spot. Too easy and you already think you can beat Rory McIlroy? Fear not, they also have practice areas that includes rough areas, bunkers and greens. Going beyond just golf too, they now have a full-fledged gymnasium and swimming pool to keep fit, on and off the course. We also love that they offer aerobics, yoga, Tai Chi and Power Pilates as well. So all of you who thought they’d be only about golf think again. There’s even a spa for you to relax and unwind at, and a billiards room to have a game or two over drinks. Their subsidised rates, at the restaurant, are fantastic and we’d pick drinks by the vast expanse of greenery and fresh air, over any smoky club in town! Especially when you can pair the whisky, beer or whatever you poison is, with good old tikkas, curries and masala peanuts. They also have a smattering of Indian Chinese food, so load up on Chilli Chicken, fried rice and manchurians of all kinds! Surely you’re now tempted to pick up a golf club and learn the sport? We certainly are! But if all else fails, make new friends… who are members of the Bangalore Golf Club!